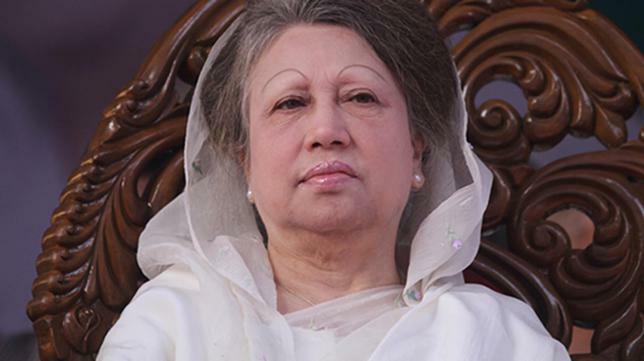 Dhaka, Oct 14 : The High Court on Sunday cleared the way to continue the trial proceedings of Zia Charitable Trust graft case against BNP chairperson Khaleda Zia in her absence. The High Court bench of Justice Obaidul Hasan and Justice SM Kuddus Zaman passed the order rejecting a review petition filed by Khaleda Zia. “Now there is no legal bar to continue the trial proceedings of the case in Khaleda’s absence,” said Anti-Corruption Commission lawyer Khursid Alam Khan. Earlier on September 27, BNP chairperson Khaleda Zia filed a writ petition with the High Court challenging a lower court’s decision. Barrister Kaiser Kamal, a counsel for Khaleda Zia, filed the petition on behalf of the main accused in the case. On September 20, Judge Md Akhtaruzzaman of the special court, entrusted to try the case, decided to continue the trial proceedings in absence of the main accused.